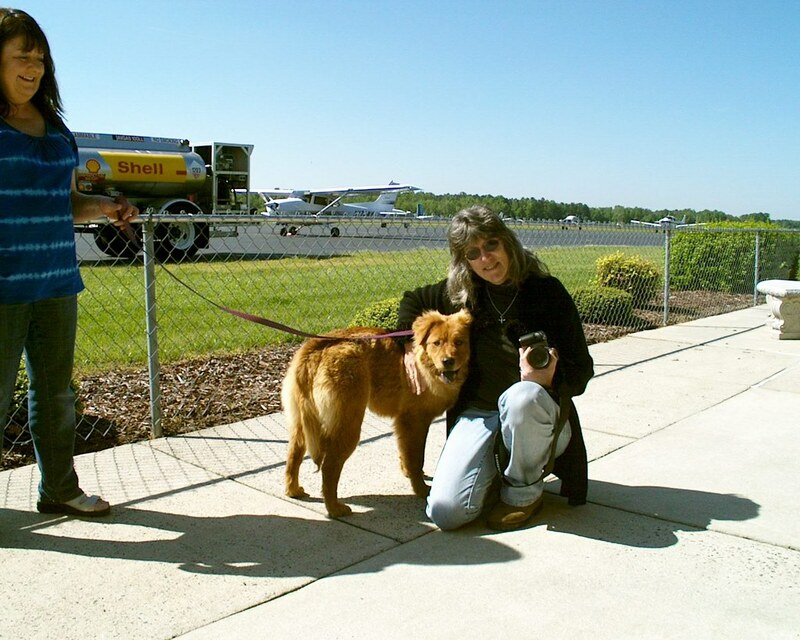 We've worked with Rhonda with Chances Angel Rescue & Education many times before. There is no doubt she has secured her place in Heaven for saving so many lives from a horrible end. 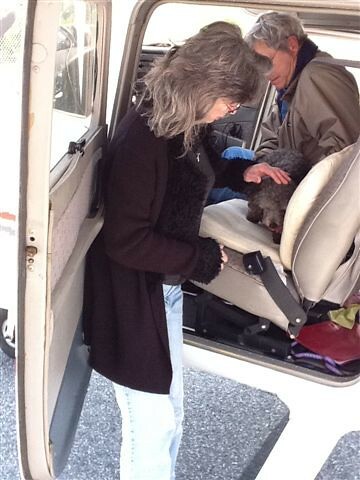 Today we flew to Roxboro, NC for two more. 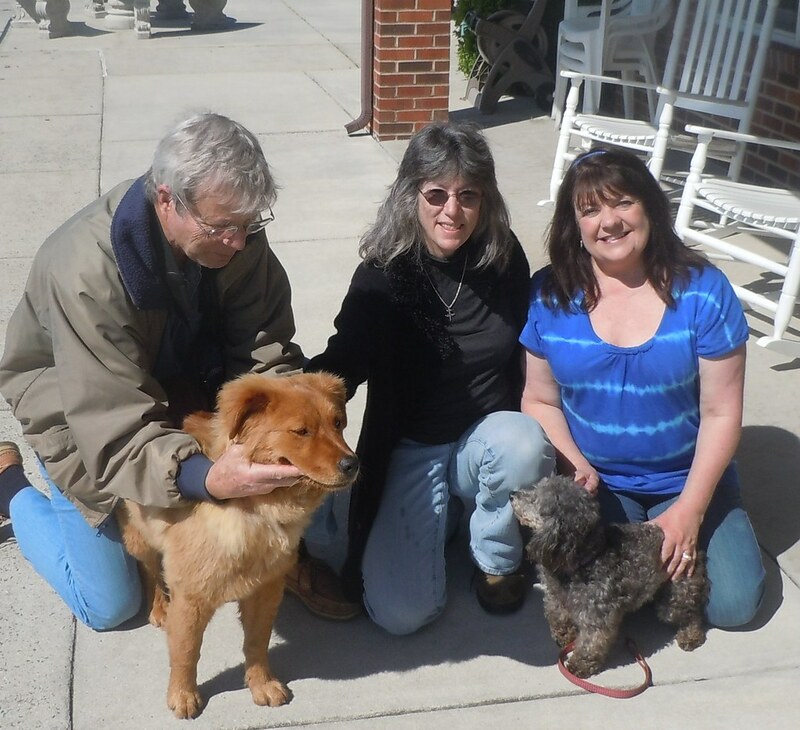 Karmen was an owner surrender, She's a beautiful golden retriever/chow mix. She's also a very lucky dog. She has a forever family waiting for her in Philadelphia. This is Zoe. 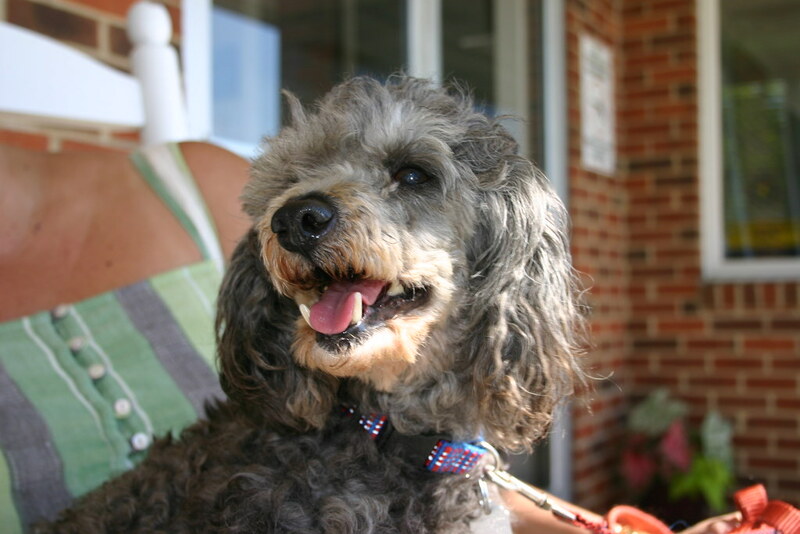 She's a little mini poodle, also an owner surrender. This poor little thing had 20 teeth pulled, due to very poor nutrition. She's a lover though. She's happiest on someone's lap. Zoe's mom turned her directly over to Rhonda. At least this little girl wasn't surrendered to the shelter. She's very affectionate and would have been quite traumatized I'm sure. It was a beautiful day for flying, and both dogs were very good. Karmen alternated looking out the window and snoozing. Zoe rode the whole trip on John's lap.